A concrete class in Java is the default class and is a derived class that provides the basic implementations for all of the methods that are not already implemented in the base class. The opposite of the concrete class is the Java Abstract Class, which does not provide implementations for all of its methods. 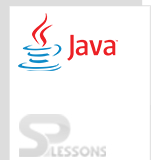 Java Abstract Class, Before knowing about the Java Abstract Class, user need to have knowledge of abstraction, abstraction is nothing but hiding the data, for example, while sending any message to others no one know what is happening inside but it is possible by two ways as follows. All abstract methods must be declared using “abstract” keyword. If a class containing at least one abstract method, then the class must be declared as abstract. If a class declared as abstract as it is not mandatory to develop abstract methods. There should be a IS-A relation ship between below two classes. An instance of abstract class cannot be created, hence non-static member of abstract class cannot be referred. If an Java Abstract Class contains static members, class name can be used to refer it. Subclass are treated as abstract until unless it overrides all the members of abstract base class or provides definitions for all abstract methods of the super class. If a class has to build Is – A relation with abstract class or if a class has become a type of abstract class, then the class has to fulfill the contract of the abstract class. The contract specifies that the subclass should provide definition for all the abstract methods of the abstract class. Otherwise subclass becomes abstract. Above example class A preaches or violets the contract of sample 1 abstract class because class A is not defining test 2() method which is still abstract in the class A. Class B is a concrete class even though it is not overriding all the abstract methods because class B contains only test 2()method as an abstract that method is defined in class B). Where as test 1() is already made concrete in the super class A. When compile the code following is the result will be generated. 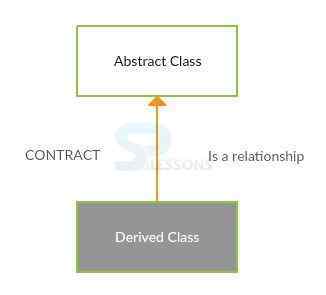 In the above example the class B is becoming concrete before fulfilling the contract of abstract class because the abstract class doesn’t have any abstract method that has to be overridden by subclass. Hence, abstract class is not 100% abstract. An abstract class can have abstract method, data member, constructor, method body and even main() method also. The following is an example. To achieve 100% abstract, develop all the methods in abstract class as abstract or we can use interfaces.